Wintergreen Resort is a four-season ski resort located along the eastern slope of the Blue Ridge Mountains within a two-hour drive of Richmond, Virginia. Wintergreen features 100 percent snowmaking coverage across its 129 skiable acres. Skiers and riders have access to 27 runs via five lifts and 1,003 feet of vertical drop. The Virginia ski resort offers night skiing, tubing, ice skating and a terrain park. Ridgely’s Fun Park at Discovery Ridge Adventure Center is a kid’s paradise, offering everything from a mini-tubing carousel and snowshoeing to tunnels and tubing. 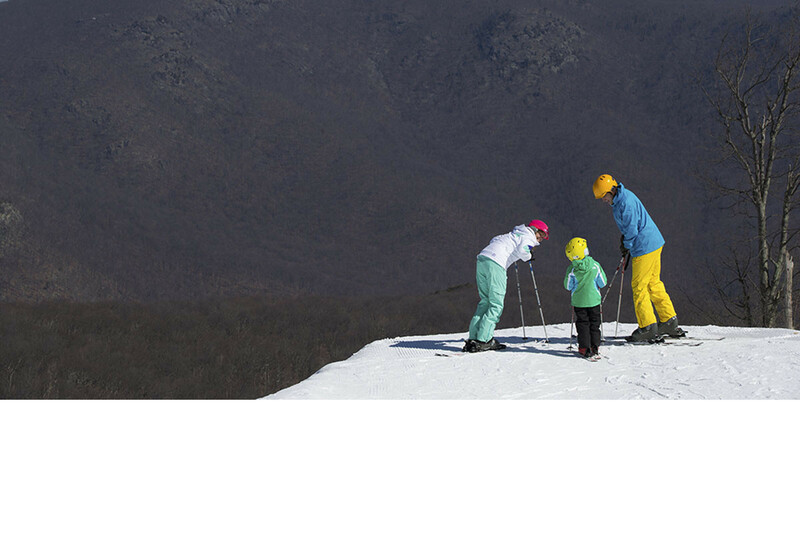 Wintergreen Resort offers summer activities, including golf, tennis and mountain biking. Want to get pampered? The Spa at Wintergreen is a fantastic way to rejuvenate the body and mind. Wintergreen Resort is home to a variety of dining options and lodging types, including hotels, condominiums, homes and exclusive properties. Four onsite restaurants, featuring casual or elegant dining and cuisine. Spa and fitness center. Six full service restaurants. Shuttle and 25,000 square feet of meeting and banquet space. Wintergreen also offers a variety of shops. Free beginner group lesson with rentals (for ages 6 and older). Adaptive skiing program. WiFi. Snowtubing and ice skating. Golf.